I wish that just emptying the cupboards was all I had to do before I could start painting these suckers, but there was still lots of work to do. 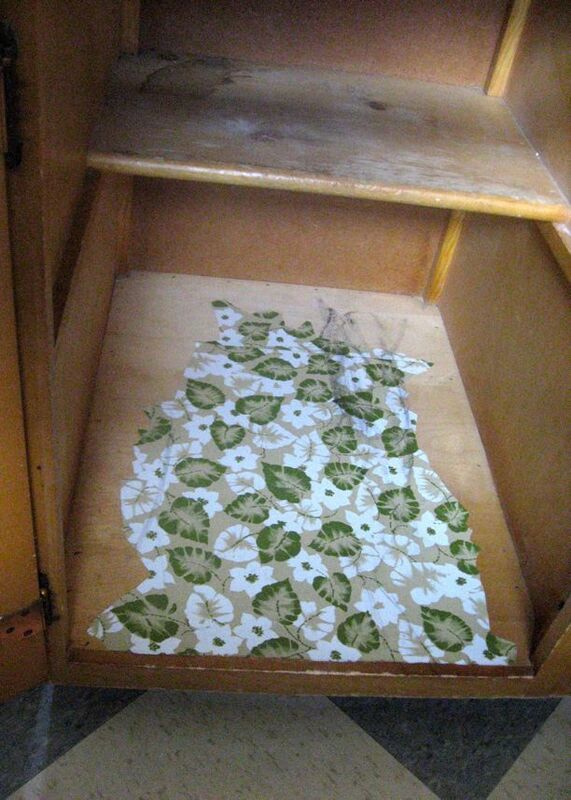 Number 1: There was some very persistent contact paper in several of the cabinets/drawers. I scraped it all off with a razor blade. It was actually that kind of relaxing, thoughtless kind of work, that I could just sit on the floor and do when I had a minute here or a minute there. I filled and sanded lots of small holes, wiped down every thing with some deglosser (which, I'm honestly not sure made that big of a difference ... ), and then I got to caulk, caulk, caulk! I spent way more time caulking all those gaps inside the cupboards, around the cupboards, above the cupboards, under the cupboards, etc. than I wanted to. 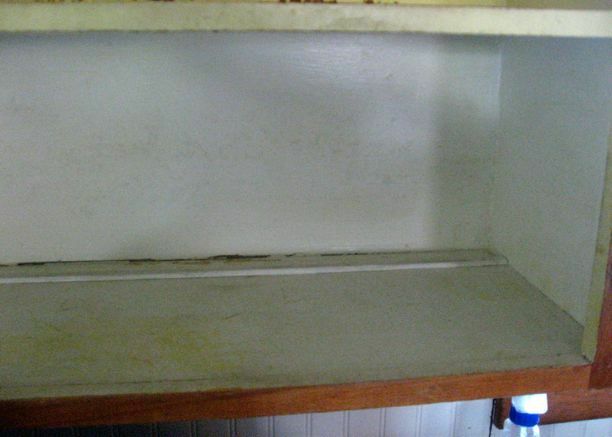 At this point, I'm sure that 100% of you (excluding you, Woo) are wondering why on earth we're not just trashing these cabinets and getting new ones. The other answer is: I've always kind of wanted to paint kitchen cabinets a fun, bright color, and I'd probably feel bad about painting new ones. In this situation, anything I do to the cabinets is an improvement. And the good news is I am done! (With the prep work.) I can start priming now!